The change would answer UN criticisms and have a massive impact on sexual reproduction and identity issues. The United States government is winning accolades for its decision to use the term “sexual rights” in talking about human rights and global development, a huge shift. As world leaders are set to meet to set goals on tackling poverty and hunger by 2030, they will also examine ways empower women worldwide and reinforce their sexual and reproductive rights, according to a Christian Science Monitor report. The term “sexual rights” covers reproductive health, sexual violence, and sexual orientation, and essentially discusses and individuals rights to have control over their sexuality, including freedom from coercion, discrimination, and violence, as well as the freedom to make choices regarding one’s sexual health. Richard Erdman, who serves as deputy U.S. ambassador to the United Nations, described this move in an announcement back on Tuesday, noting that the language “stresses equality between men and women in matters of sexual relations and sexuality,” he said according to the report. Before this announcement, the U.S. had supported sexual reproductive health as well as reproductive rights, but it had not gone as far as acknowledging sexual rights, making this a major step. It comes as the Supreme Court has ruled that gay marriage is legal in a landmark case that struck down many anti-gay laws around the country. Now, the U.S. can be a major contributor in addressing global issues including HIV and AIDS prevention, female genital mutilation, and child major, according to the report. The U.S. government will use the term “sexual rights” to express rights that are currently not legally binding or not “enshrined in international human rights law,” Erdman said according to the report. 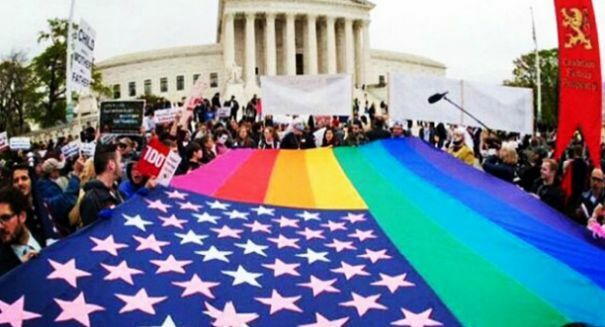 It is instead a critical expression of the United States’ support for the rights of people regardless of their sexual orientation or gender identity.